Monitoring level of hypnosis is a major ongoing challenge for anesthetists to reduce anesthetic drug consumption, avoiding intraoperative awareness and prolonged recovery. 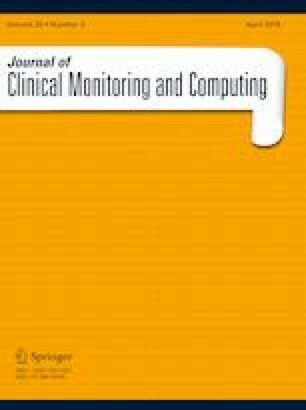 This paper proposes a novel automated method for accurate assessing of the level of hypnosis with sevoflurane in 17 patients using the electroencephalogram signal. In this method, a set of distinctive features and a hierarchical classification structure based on support vector machine (SVM) methods, is proposed to discriminate the four levels of anesthesia (awake, light, general and deep states). The first stage of the hierarchical SVM structure identifies the awake state by extracting Shannon Permutation Entropy, Detrended Fluctuation Analysis and frequency features. Then deep state is identified by extracting the sample entropy feature; and finally light and general states are identified by extracting the three mentioned features of the first step. The accuracy of the proposed method of analyzing the brain activity during anesthesia is 94.11%; which was better than previous studies and also a commercial monitoring system (Response Entropy Index). All procedures performed in studies involving human participants were in accordance with the ethical standards of the institutional and/or national research committee and with the 1964 Helsinki declaration and its later amendments or comparable ethical standards. This study received ethics committee approval at Waikato Hospital, New Zealand. Informed written consent was obtained from all patients included in the study.